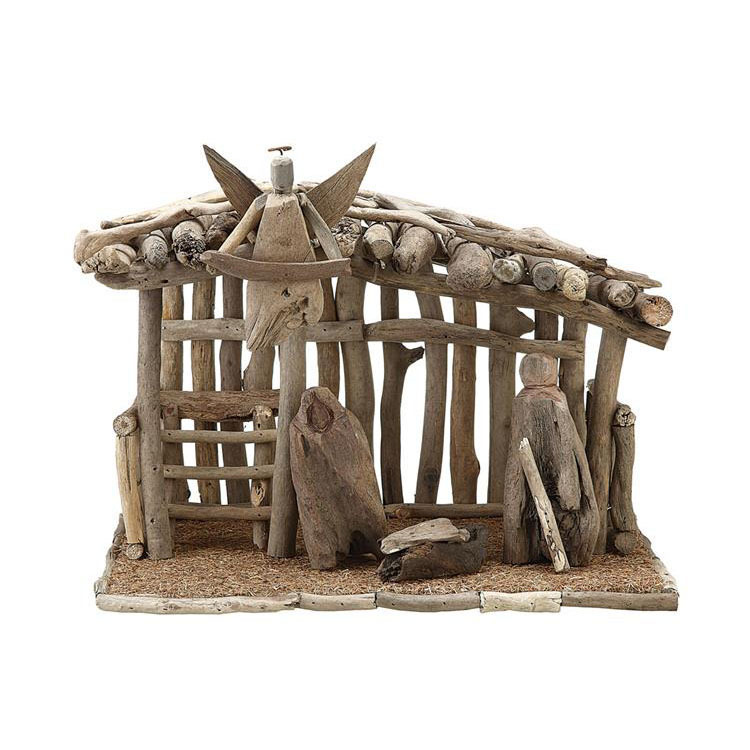 for a stylish and natural christmas decor idea; discover nova68's classic christmas manger crafted from beach-found driftwood. a wonderful modern wood nativity manger in our christmas and holiday decoration ideas collection. special: $89.99 instead of $120.00. this beautiful modern wooden manger is absolutely stunning and will certainly become the center of your holidays. meticulously crafted from natural driftwood by master wood artisans; each nativity manger is completely unique. reclaimed driftwood pieces are applied by hand to create a rich and warm appearance. spare and simple, our re-creation of an age-old story is transformed into a work of art with a natural yet modern edge. irregular pieces of real driftwood, as found along the beaches, are selected to create a wonderful nativity scene, that has the appeal of an organic and natural object. and just like driftwood, each wooden manger nativity set is unique. each manger comes complete with the driftwood figures as pictured.